Asturias moorings Archivos - Puerto Deportivo de Gijón, Asturias. Norte de España. From Puerto Deportivo de Gijón we encourage sailors to enjoy Gijon’s summer season , a summer full of gastronomic, musical, folkloric and cultural events that make our city the perfect destination for any traveler and, from our Port, the ideal marina, in the heart of the old town and the center of the city to spend this summer season. 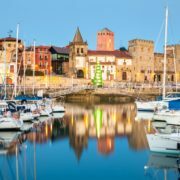 We also remind sailors, that this summer, as in previous years, you can benefit from interesting promotions to moor in Puerto Deportivo de Gijón. Come and enjoy this summer with us! You will always want to return!